Although LA is geographically the smallest local authority in Scotland, it is also one of the most densely populated. For example, it has a current population of approximately 144,000 residents and has some of Scotland’s most deprived areas in terms of health, access and income (Scottish Index of Multiple Deprivation, 2012). Similar to its neighbouring authorities, LA has an ageing and increasingly dependent population. In accordance with the national trends, the number of people aged over 65 is expected to rise over the next 20 years. However, the projected percentage increase is one of the smallest of all Scotland’s local authorities. Figure 4 compares the over 65 population of LA to its neighbouring authorities and the overall Scottish average figure. The reasons for this modest increase in the over 65 population are not immediately obvious, but further investigations produced two explanatory factors. First, the wider population distribution across LA is skewed by a disproportionate number of younger people who attend higher education establishments but then move away from the area upon completion of their studies. Second, LA’s age corrected [Age corrected rates is a way to make fairer comparisons between groups with different age distributions ] death rate is 13.6% higher than the rest of Scotland meaning that people’s life expectancy is further reduced in LA (GROS, 2013). Consequently, LA has a lower than average number of older people. On purely numerical terms, it can be concluded that the challenges presented by the ageing population will be less for LA than their neighbouring authorities. However, even though the increases present as relatively small by comparison, the impact of the ageing population will still be prevalent. LA has seen a 21.4% increase in hours of care allocated to older people since 2006 and those requiring intensive support have increased by 44.8% (Community Care Datasets, 2012). By 2035, the overall population of LA is projected to be 135,229, a reduction of 6 % compared to today’s figure, however, in the same timeframe the age group that is projected to increase the most is the aggregated 65 and over age group that will increase by 23% (GROS, 2012). 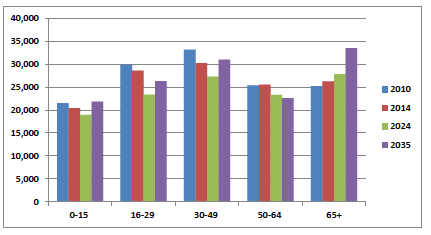 Figure 5 below evidences the trend by age group. It is evident from the figure that the 65 and over age group demonstrates an exponential rise over the timeframe whereas the other age bands have different distribution trends. Consequently, this group will continue to influence LA’s population structure in future years. The immediate problem for LA is that it already has 1882 [This figure represents services provided in-house and those commissioned externally(LAHCS) 18 as a consequence of the external providers being able to provide more hours at a lower unit cost than the in-house service provision] service users in the system currently who receive 14885 hours of care and support per week (Home Care Census, 2012) where the current in-house staff ratio is approximately 1 carer to 14 hours of service. This staffing ratio has remained a constant over the past four years (LAHCS, 2013) despite an externalisation of work that has seen a 25% reduction in the in-house staff levels (LAHCS, 2013). Notwithstanding this, the out sourcing provides additional capacity18 (LAHCS, 2013), the demand for service has remained almost a constant (Community Care Statistics, 2013) in the timeframe. A small reduction in hours is noted but this will be discussed further in relation to enablement intervention. 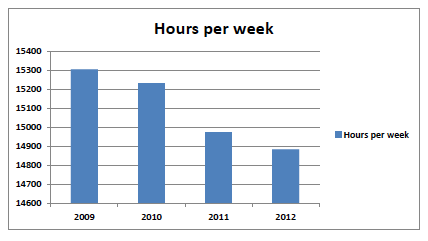 Figure 6 provides an account of the hours delivered since 2009. The increased demand for services due to the growing over 65 population is further complicated by the increased prevalence of long term conditions in Scotland. Around two million people, 40 per cent of the Scottish population, have at least one long term condition and one in four adults over 16 reports some form of long term illness, health problem or disability (Scottish Government, 2012). However, long term conditions become more prevalent with age and The Long Term Conditions Alliance (2010) report that by the age of 65 nearly two-thirds of people will have developed a long term condition. Also, older people are more likely to have more than one long term condition: 27 per cent of people aged 75-84 have two or more (LTCA, 2010). Evidence would suggest, however, that there are clear links between long term conditions, deprivation, lifestyle factors and the wider determinants of health (Scottish Government, 2012). This report suggests that people living with a long term condition are likely to be more disadvantaged across a range of social indicators, including employment, educational opportunities, home ownership and income. The Scottish Index of Multiple Deprivation (SIMD) measures such indicators and has recently reported that LA has 55 (30.7%) areas within its boundaries that are in the lowest quintile of Scotland’s most deprived areas. Consequently, it could be argued that, because of, this LA already have a larger percentage of individuals with long term conditions being supported by the health and social care sector. Further, should there be no change in those social indicators, then LA may experience a larger percentage of people presenting with long term conditions in the future. 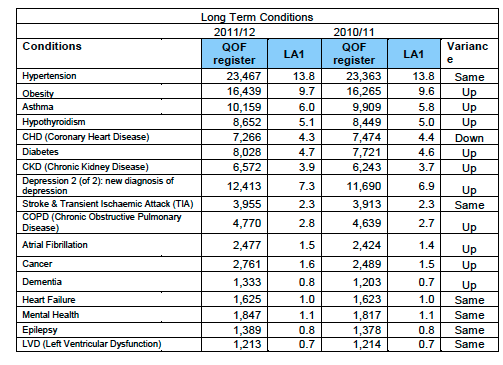 Table 1 provides a breakdown of prevalence of selected long term conditions (ltc) within LA 2011/12 and demonstrates that prevalence has increased in ten of the 17 long term conditions described by the QOF register. For the remainder, six have not changed at all and only one has reduced. Unfortunately, there is no data available that correlates long term conditions with social care use, although within this debate this is an important point as it demonstrates the amount of care and the complexity of needs of individuals supported within their own homes. Indeed, the number of people supported at home in receipt of an intensive package of care is one of the key measures in determining the shift in the balance of care from institutionalised settings to the community. Therefore, the figures not only represent the current position, but also demonstrate whether the overarching principles of community care as set out in the NHS and Community Care Act, 1990 are being met. Using this as a measure, therefore, Figure 8 demonstrates the trend over the past 10 years thus confirming that has been a shift in the balance of care in Scotland. In LA, the percentage of people over 65 years in receipt of an intensive care package has increased significantly over the past ten years. Despite this, LA sits below the national average of Scottish local authorities delivering intensive personal care services. 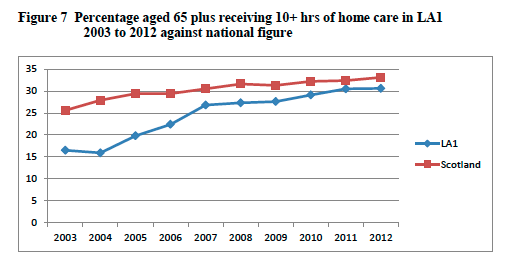 Figure 7 provides a comparison of percentage of 65 plus individuals against the national average. Currently the number of hours delivered to intensive packages of care for LA represents 31% (Community Care Datasets, 2013) of the overall commitment.